Frannie Cavanaugh is a good Catholic girl with a bit of a wicked streak. She has spent years keeping everyone at a distance---even her closest friends---and it seems as if her senior year is going to be more of the same . . . until Luc Cain enrolls in her class. No one knows where he came from, but Frannie can't seem to stay away from him. What she doesn't know is that Luc is on a mission. He's been sent from Hell itself to claim Frannie's soul. It should be easy---all he has to do is get her to sin, and Luc is as tempting as they come. Frannie doesn't stand a chance. But he has to work fast, because if the infernals are after her, the celestials can't be far behind. And sure enough, it's not long before the angel Gabriel shows up, willing to do anything to keep Luc from getting what he came for. It isn't long before they find themselves fighting for more than just Frannie's soul. 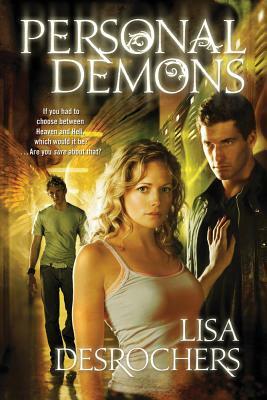 Lisa Desrochers is the author of the young adult fantasy novel Original Sin. She lives in central California with her husband and two very busy daughters. She can always be found with a book in her hand, and she adores stories that take her to new places and then take her by surprise. Growing up all over the United States inspired wanderlust and Desrochers loves to travel, which works out well since she lectures internationally on a variety of health care topics. Lisa Desrochers has a doctorate in physical therapy and maintains a full time practice.